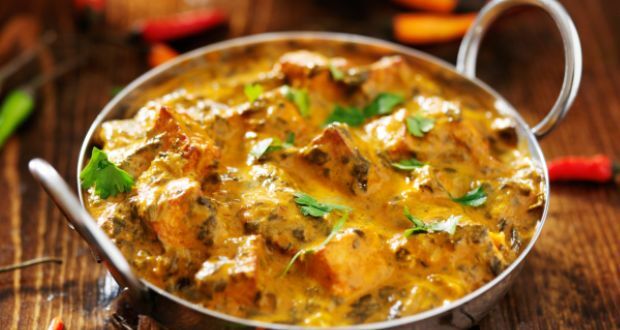 Kadai Paneer is one of the most famous Indian Dishes. Not only in India, but people from abroad also love this dish. The dish derives its name from the way it is prepared. As it is prepared in a kadai, therefore it is also known as Kadai Paneer. For those who are unaware as to what kadai is, then it is a cooking utensil which is similar to a Chinese wok. The only difference between these two utensils is that the kadai is much deeper than the Chinese wok. Due to this depth, one can easily deep fry many dishes. Now coming back to kadai paneer, it can be made dry and also with some gravy. In our opinion, it tastes much better with gravy. 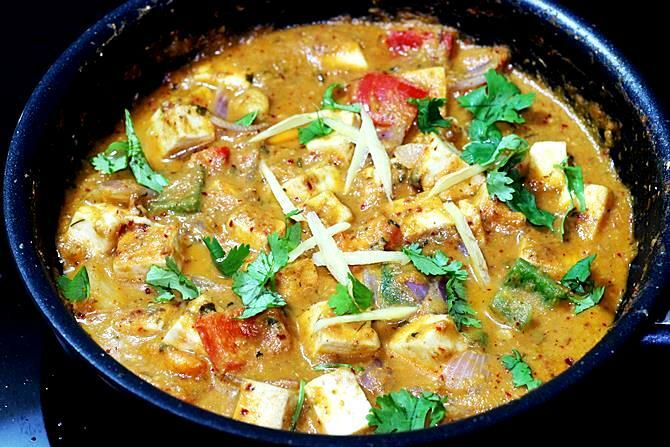 Therefore, we will explain in steps how to make Kadai Paneer with gravy at home. Kadai paneer is really easy to make and can be made in a few minutes. You can get restaurant like taste at home itself by carefully following the steps mentioned below. But before we start with the steps, we must first take a look at the ingredients required to make the dish. Please note that the ingredients mentioned below are for preparing Kadai Paneer which serves up to 4 people. Now, before you start with the preparation of the main dish, you can prepare some things in advance. This can help you to concentrate on the main dish later on and save a lot of cooking time as well. Let us take a look first at the preparation for Kadai Paneer. To begin with, you need to roast the coriander leaves along with the dry Kashmiri red chilies in a pan. Keep the flame low until you can smell their aroma. Switch off the flame. Wait for the spices to cool. After that, you can grind both of them in a grinder until it forms a semi fine powder. Keep it aside after that. Chop the onions, capsicum and tomatoes. Add them to the blender after they are chopped. Make a thick paste from them. Keep the tomatoes aside and make a puree of them. Now that the preparation is done, you can now move on to the final steps in order to make the dish. Let us have a look at the steps. So to begin, you should heat butter, oil or ghee in a pan. After that, you can add the ginger- garlic paste which you have prepared earlier to it. Sauté it on medium flame. After that, take some chopped onions and add them to the mixture. Sauté it again till it becomes a little transparent. Now you need to add other spices as well. Begin by adding the ground coriander as well as the Kashmiri red chilli powder. You can also add the green chilies now. Mix all the spices well thereafter. Now you need to add some finely chopped tomatoes to the mixture and sauté it for 5-20 minutes. You can also add the tomato puree during the process. Now you need to continue stirring. Stir well and carefully. Also, continue to sauté until you see the oil leaving from the sides. This will take approximately 9 to 10 minutes when done on a low flame. Now take the green capsicum and add it to the mixture. Now put the flame on sim and stir the mixture for about 2 to 3 minutes. You can also put the flame to medium if you want. Now as we are about to complete the dish, you can add water as required. Make sure that the gravy remains a little thick. Now add salt as per taste and continue cooking for another 5 minutes. You can also add dry fenugreek leaves as well as garam masala powder later. Keep stirring the mixture and finally add the paneer cubes or slices. Keep on stirring and cook it for 2-3 minutes more. Now, the Kadai Paneer is almost prepared. If you want, then you can also add 2 tbsp of cream to enhance the taste. Now your dish is almost prepared. Put it off the gas. You can now chopped coriander leaves for garnish. Your dish is ready. Serve it hot with rotis, naan, steamed rice or even jeera rice. We have seen how Kadai Paneer is one of the most famous dishes in India. It is also one of the easiest dishes to make and can be prepared at home itself. The easiest steps to make kadai paneer at home have been mentioned above. Just follow them and prepare tasty Kadai Paneer at your home.